clients in a market you already know. Modest Initial Franchise Fee. Our modest franchise fee is just $15,000. Low Fixed Monthly Fee. We do not collect royalty fees based on sales percentages. Our fixed monthly fee is only $550, regardless of your sales! Multiple Revenue Streams. Our proven programs offer multiple ways to generate revenue including registration fees, a variety tailored programs tailored, plus food products, nutritional supplements and vitamins. Easy Product Ordering-Dependable Distribution. We make it easy for franchisees to order and take delivery of our products, supplies and sales tools. Minimum Staffing Required. It only takes 1-2 people to operate a center, depending on your motivation to work and grow your business. ability to add new franchises. We have developed a winning operating formula, and we'll share it with you. Before you open the doors, you will have spent a full two weeks in our comprehensive training program learning the secrets to achieving success. Our copyrighted easy-to-understand "How-To" manuals will provide you with the keys to a successful business. Once your Diet Center is up and running, we offer on-going training to help keep you up to date with the latest developments in the weight loss and weight management field. When you become a Diet Center franchisee, we appoint a team of professionals in our home office to support you. Your Franchise Support Team will answer questions, guide your training and prepare you for the day-to-day operation of your Diet Center franchise. "The training and support I receive from Diet Center are phenomenal! The guidance and caring are there for me-and Diet Center really wants their franchisees to succeed!" "The financial success follows the passion of loving what you do. Four years ago I didn't think I could accomplish the financial goals I set for myself in my personal journal. I accomplished them in nine months!" Stake your claim in an industry that is poised to top the $34.7 billion dollar mark by aligning yourself with an established name that represents the most current developments in nutrition and weight control. We're looking for dedicated, business savvy women like you to help us provide these high quality programs and products to more and more clients around the country. 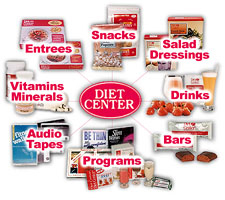 There is no better time than right now to become a Diet Center franchisee. We were one of the first in the weight loss industry to recognize the critical relationship between well-designed nutritional programs, one-on-one counseling and supplemental products that leads to diet success. 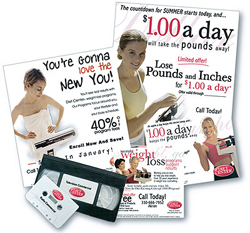 For more than 35 years Diet Center has invested the time and resources it takes to develop and refine weight loss and weight management programs that work. This commitment to quality is what sets us apart from trendy, "diet of the week" programs based more on fantasy than reality. As a Diet Center franchisee, you can benefit from our unique position in the industry. Our track record speaks for the staying power we've built in the marketplace. Please note this franchise is not currently accepting inquiries from outside the U.S. Interested parties should have at least $40,000 liquid capital to invest. Click on Request Information for FREE info on how to open a Diet Center Worldwide franchise today! Please Note: This Diet Center Worldwide franchise opportunity and other franchise business opportunities, businesses and franchises for sale on this web site are not to be considered as an "offering", "franchise offering", suggestion or recommendation by Franchise Leader™. This advertisement depends entirely on the truthfulness of the information provided by our advertisers which includes, but is not limited to, franchisers, franchise brokers, franchise consultants and business brokers. Franchise Leader™ recommends that you consult a lawyer, financial consultant, accountant or professional advisor before buying a franchise or business opportunity or any type of business. By using this form or any part of our website, you have agreed to all terms and conditions of Franchise Leader™. Please review our Terms & Conditions for more information.